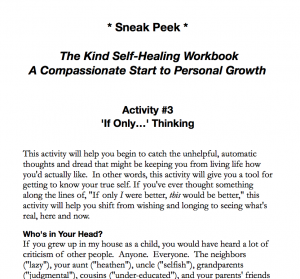 Continuing to work on my self-healing workbook, The Kind Self-Healing Workbook! Sneak Peek #2 contains an actual tool that you can put to use. This activity packs a punch (or I’d like to think it does) and is geared towards helping you stop for a minute to listen to your thoughts. Please let me know what you think of this. It will help enormously to know how the activity works for you and how I can make it better for the final activity. By Amy Eden · Sunday, July 14th, 2013 · Categories : Good New Articles & Downloads, GWNI News, Raise Yourself Up! That did really pack a punch! I appreciate that you covered so much and in such a concise way while not skimming over any part. What I like most are the many example thoughts and questions. That’s very helpful especially when we are so unused to challenging our assumptions and inner voices that it makes it hard to even know how to start. Even as someone that’s been trying to catch unhealthy self-talk for a while I was helped by some of the examples in that I found different angles of investigation than the ones I might have been habitually using. Also the examples helped me be more kind with myself while doing the activity since I see that I’m not the only one that has these kinds of zany thoughts and absurd correlations. There are lots of books out there that cover why we are caught in self defeating cycles and how we might have arrived there. And while that’s good to know and accept I think it is far more helpful to have a map for getting out of that loop. Your workbook is shaping up to be just that sort of map. Keep up the cartography! Thank you so much Abby! That is great feedback. I really appreciate it! Great that the examples helped. It’s been interesting for me to slow my thinking down and record the actual steps. I wasn’t sure if there was value to that, so it’s helpful to read your feedback. This tells me that I’m not being “too” practical. I love the idea of cartography, just love it. You’ve got me thinking about the workbook title in a new way, and maybe including the term “roadmap” or “guide” to it. PS: Sorry the font in the PDF was so incredibly small – just updated the file with something bigger. Amy, Everything on your site speaks to me. I am only seeing this for the first time, (2/2014), and today, I needed this type of direction. Thank you. I am ready and scared to do this exercise. 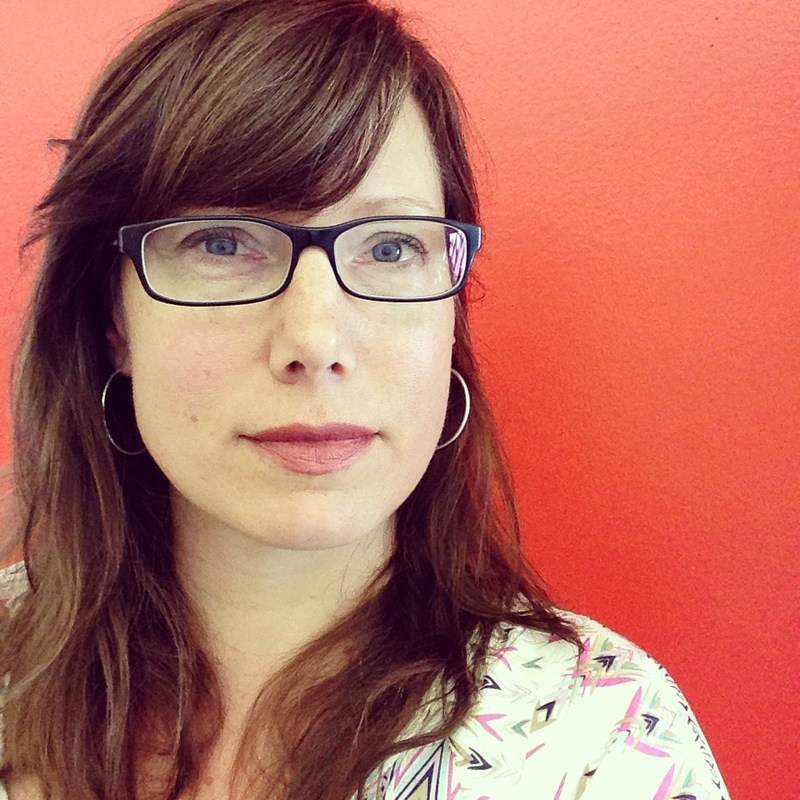 It immediately spoke to me, (critical judgment – what am I teaching my CHILDREN that I learned from my parents, but do not wish to perpetuate?) Thank you. Thank you so much for the feedback! This stuff is pretty timeless…and now (whenever “now” might occur) is the best time to start the work. If you care to share any thoughts after you complete the activity, I’d sure love to hear them! (The workbook is now 2/3rd done – I’m really, really looking forward to sharing it once it’s finished.) Thanks again – and a big hug, too A.